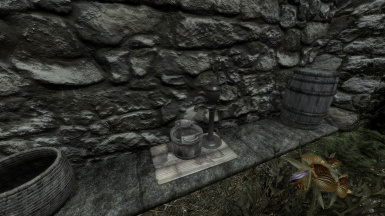 Adds water pumps outside the five vanilla homes to refill your Realistic Needs and Diseases bottles and water skins. Water pump model created by 'Runspect'. 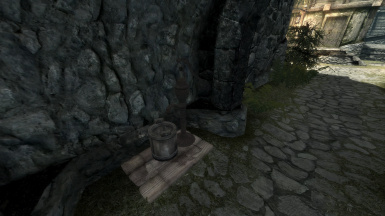 This mod adds a water pump outside of the five original player houses. You can use this pump to fill your empty bottles and waterskins when using 'Realistic Needs and Diseases'. To the left of the front door. Will appear once you have purchased the kitchen upgrade. Against the back wall of the garden. Will appear once you have purchased the kitchen upgrade. Under the arch, to the left of the front door. Will appear once you have purchased the kitchen upgrade. To the right of the front door. Will appear once you have purchased the kitchen upgrade. Requires Realistic Needs and Diseases. Make sure this mod is lower down in your load order than RND. 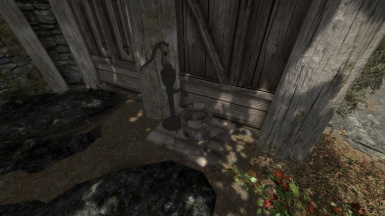 -Water pump model created by 'Runspect'. 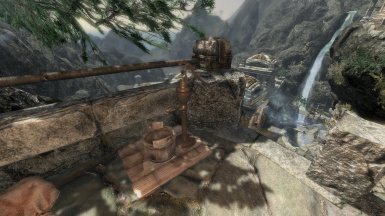 This is an excellent collection of modders resources.